Hi Stephen, thanks for your comment! I’m new to blogging so still trying to find my way around. Where will your next walk be? Hopefully mine will be the via de la plata but I can’t walk anywhere until I finish my blog! Let me know if you have any questions about any of the walks you’re hoping to do. Buen Camino! I think you are quite inspirational. I want to do a long distance walk for my 60th next year. It will be either be the south west coastal path around England or the Camino de Portuguese. I have done the Camino Frances. Finances are a consideration and I think the SWCP could be too expensive. Has the Camino de Portuguese the infrastructure of alburgues along it? What a great plan for your 60th! I haven’t walked the south west coastal path (but I’d love to!) but unless camping I think it could add up if having to stay in B&Bs nightly. More and more albergues are opening up on the Camino Portuguese now and there are plenty in the north between Porto to Santiago. Between Lisbon to Porto there’s a combination of albergues / hostels / pensions / hotels. And Portugal is very cheap – I’m here now on the Camino again and you can get a coffee for €0.65 and a toasted sandwich for about €1.50. Dinner is usually between €7-€10 for a very large meal and often more than one course. Good luck deciding! The blog looks great. Well laid out and easy to navigate. Congratulations, where next? Thank you 🙂 I walked along the cinque terre yesterday (stunning) and will write about it hopefully this week. Then next I think will be the Via de la Plata, it was recommended to me by a French man with limited English on the Portuguese camino (well I think he was recommending it??! ), and I’ve just realised that a book I received for my birthday early this year but hadn’t got around to reading yet is by a retired Australian man who also walked the Via de la Plata… Where will your next walk be? I took the train along the Cinque Terre about fifteen years ago (before I had discovered the joys of walking). I am planning to walk the camino Mozarabe next year from Málaga, which is only 60 km from where I live, so I shall probably walk from home. The route joins the via de la plata at Merida, but it will be about 1500 km’s so I will most likely walk over two years. May see you en route? I hiked the Cinque Terre 2 years ago, on my third visit there. I foolishly did it in my flip-flops, and had to dig out more than a few chestnut needles from my feet that night (after dinner and wine in Vernazza). ‘Hope you enjoyed Liguria as much as I did. Unfortunately, I am unable to “sponsee” you, but if you let me know when you are in Spain, I would gladly meet up with you again. Oh, the adventures of “innocently” being locked out of an albergue! Have been reading your blog with great interest. My wife and I have also done the Camino, St Jean-Santiago , Wainwrights coast to coast which is morelike climbing across Britain rather than hiking, The Everglades, Hiking Alaska, the Great wall of China (not 12000 miles) and the Jesus trail in Israel.
. Did you do the coastal or the main route, and is the accomodation plentiful. ps. one of the good walks once taken was the 1000 steps just south of Melbourne in the Dandynongs if thats how you spell it. Dont make the mistake as I did however of having a big night out the evening before. Thanks for your comments. I bet you’ve had some terrific adventures on those hikes! I dream of going to Alaska to see the bears catching the salmon, but I’m not sure I would survive hiking there! On the Portuguese camino from Oporto, I took the main route and this stretch of trail until Santiago had plenty of accommodation options every 20-25km or so. If you’ve not been to Portugal before I highly recommend a few places on the camino before Oporto: Lisbon, Coimbra and Tomar and if it could only be one of these places then definitely Tomar to visit the Knight’s Templar castle, it was simply stunning! Hiya firstly a very well done for all your achievement amazing, we have just completed the camino France from Sjdp to Santiago although we love walking it was our first long walk and like yourself we are addicted. We see that you have just completed the camino portugese , and that’s the one we would like to do nx any information you can give us would be really appreciated , eg like albergues is it as easy to follow the as the camino France (. You couldn’t really get lost there) amount of people who are on it type of walk flat ,hills, bit of both ect. I have detailed all the accommodation I stayed at (and prices) at the top of each day in my blog and have uploaded elevation graphs that will give you an idea how hilly it is – not really at all in the beginning and just a few towards the end. Johhnie Walker has a terrific blog with all the pilgrim statistics year-on-year, it’s worth a look to see the numbers of pigrims doing each camino. Brava! Did the 88-temple pilgrimage myself in 2009 (March 20~April 20)! Just on the eve of my 60th – after living in western Japan for some 16 years. Then returned to Australia (NSW). I wrote up my diary – calling it: “Angels of the way” (of course)! Thanks for your comment. I’d love to hear/read about your experience, do you have a blog? I’ve just put together a slideshow of the pilgrimage and I think I want to do it again! It must have been strange to return to Australia after living in Japan for so long, do you miss Japan? Hi Jeff, I’d love to do the PCT next year… But not sure! Where will your extended trip be? Have you ever think about the Israel national trail (1000 km)? Read about it, and when you are here I’ll help you in my suroundings, near Cesarea (Kesaria, cesaria) were I live. Great blog. I have you bookmarked for all your useful info on the Shikoku hike. Can’t wait to do it next year. If you’re looking for something a little closer to home, have a look at Te Araroa. Did it a few tears ago and loved it. Thanks Richard 🙂 Te Araroa is definitely on my list but I’m hoping to walk the PCT next year, if I can get organised in time! All the best for Shikoku! Hi Kat ! I love your website. Great to read . There exists a long distance path here in the Netherlands, about 500 kms long from the northern Village Pieterburen to the utmost southern and beautiful town of Maastricht where it ends at the Sint Pietersberg (Saint Peters Mountain -with 300 mtrs the highest in the country. haha) it is called the “Pieterpad “. We walked half of it as a training for our first caminho and are intending to acomplish the second part either next year or the year after. Thanks so much for telling me about this walk, it sounds lovely (and nice and flat!) What type of accommodation is available along the path? Good luck with all your journeys. Thanks for your comment, you definitely have the walking bug! I’m a bit envious as I would love to do all of the walks you’re planning to do next year!! Do you have a blog? I have heard about the south west coast (my in-laws live in Cornwall) and it certainly does look like a terrific and very scenic walk, but it’s the cost of walking in England (without a tent) that puts me off. Is it possible to camp along the trail? This site is the first mention I have seen of a certificate for finishing the 88 Temples. Is it just a souvenir you bought, and the end? I had never heard of the certificate either until I passed a place called the Henro Forum a few km before Temple 88. They gave me a free certificate in the Henro Forum (strange name but it’s a museum about the pilgrimage) and told me I could buy a more official certificate at Temple 88. I can’t remember how much it was but it’s a nice certificate, they write your name on it and it comes in a tube, handy for travelling. Are you planning to do the pilgrimage? Hi, i found your blog from your youtube channel after watching your Shikoku picture-video. Its on my to-do list. Congrats on finishing. I also walked camino frances this april and in july i walked half (1100km) of the Via Francigena. Both have changed my life, and i met an amazing “family” on the camino frances. Thanks for dropping by. I would really love to walk the Via Francigena, did you write a blog? I know what you mean when you say life changing, walking the Camino Frances was the best thing I’ve ever done. Where will you be walking this year? Hi Kat, first off a massive thank you for your blog, on both a practical and an inspirational level. I’m planning to walk the camino portuguese this september and reading your posts has really helped me. I’m giving myself a four-week window within which to do it, and I’m going to follow your advice and start in Tomar. I was just wondering whether I need to book accomodation in advance, or whether i can just take it on a day-by-day basis when i’m in the country. Thanks once again and all the best for your future walking adventures! If you wanted to start from Lisbon I know there’s now a pick-up & drop-off service for pilgrims to make the daily distances shorter. It was started by Mario who runs the Santarem hostel. I’m not sure how busy September will be but when I did it in June I called ahead to book accommodation about a day before (between Lisbon & Porto) but only because there weren’t many “albergues” in this stretch and I had to stay in pensions and public hostels. Some of the accommodations had strange opening hours so it was good to call ahead to find out. I think you will probably get a sense of how busy it is once you arrive (and if it’s not so busy) my only thought for calling ahead would be to find out what time they open. You’re going to have a wonderful time! Buen Camino! Hi, Kat thanks for your Blog,,,,very very interesting about Shikoku, I plant to go next Year, I have been in Giappon 25 years ago but for something else. This time I would like to go there to do this trip, could you give some Information?. What do you think how much money do I need? And which airport its closer to Shikoku? I’m from Italy, but usually I’m fly from Munich ( germany). 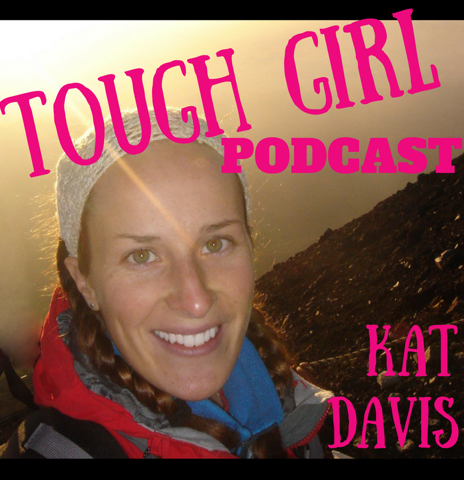 Hi Kat, love your blog! My wife and I are deciding whether to walk the Camino Ingles or the Spanish portion of the Camino Portugues (Tui-SDC). Can you advise as to which route has less walking on busy or dangerous roadways? Beyond that, do you prefer one route over the other? If so, why? Thank you! Hi Jeff, there was only really one section of road that I remember on the Ingles and it wasn’t a busy road (after the hospital albergue – I can’t remember it’s name). The Ingles is nice and was very quiet when I did it last October but I would say the Portuguese from Tui to Santiago has more interesting towns to stay in and the terrain is more varied and not that much road walking that I can remember. I hope this helps! Buen Camino! Hi Kat, Wow I love reading your blogs and enjoying the adventures you have had. I am heading of to Shikoku in late September to begin the 88 temple pilgrimage. I have a Garmin GPS and was wondering if you have any way points that I could use of the route? Do you have any advice for me? Hi Jess, you’re going to have such an adventure!! I did make tracks on my Garmin but I’m currently hiking the PCT in America and don’t expect to get back home (and reunite with my Garmin) until Sept/Oct. The guy I went to Shikoku with bought an SD card for a GPS with the pilgrimage on it, I think it cost about $100 and he found it online. The path is pretty well waymarked and if you use the road maps from the guide you should be fine. I hope you have a terrific time!!! Good to read your blog. Your love of adventure is inspiring and very similar to my wife’s and my own. We started around 2007 on our adventures (based from Melbourne). Since then we have been to Egypt, Morocco (Mt Toubkal), South Africa (environmental volunteering), UK, France (Loire Valley – Bike), Croatia (Istria – bikes), Tanzania (Kilimanjaro), NZ and OZ of course. The most memorable of our adventures to date though is the Camino Frances (STPDP to SDC) in 2009. It has become part of us and the saying Your Camino starts when you finish is so true. This year we are sailing as crew (never done this before) in Greece with some Australian friends (who do have some nautical experience)and planning for another bike ride throughout the UK (LEJOG) for next year. There is so much to do and we envy your youth (and time) as we approach our retirement in 2 years time. Our big plan for 2018 is to walk the Camino from Le Puy to SDC with no time restraints at all. Maybe that is the benefit of being older. Your blog is terrific and easy to navigate and we wish you luck with it in the future. Stay safe on your current walk. stay safe, hope the bugs aren’t biting too much! Your PCT blogging is depressing to read after a long day at work!!! No interest in any of the aussie long distance trails currently on offer in the future like Heysen or Bibbulmun? I kept your Accommodations page on Pocket and referred to it multiple times a day along with the Henro2009 one, and the Japanese ones I had. Firstly, thank you for that. And now I’m following your other trips to get tips on the next great places to go. 😉 Thank you and keep it up! Also, the Baekdudaegan Trail in South Korea sounds interesting! I guess if you want company, please send me a message when you’re planning your trip! Congrats on finishing the PCT! I’m considering doing a thru-hike at some point and am asking around about a few things, I’d love your feedback! This probably is a silly concern compared to all of the other challenges you face, but what was your experience with critters like spiders and scorpions? I’m pretty terrified of scorpions and large spiders which I know live in the desert portion. My thought is that I’d be willing to face the fear if it is fairly uncommon to run into them, but if for instance run-ins with camel spiders or something similar are a daily occurrence in the desert then it’s probably not the trail for me. I would definitely take certain precautions such as not cowboy camping and keeping my pack in my tent. Anything you can share would be great! Thank you! That definitely puts my mind at ease! I’ve spent some time in the sierras so while i don’t love the spiders there I’m a little more comfortable with them. The desert was my main concern, but it sounds like if I don’t night hike it won’t be a huge issue. 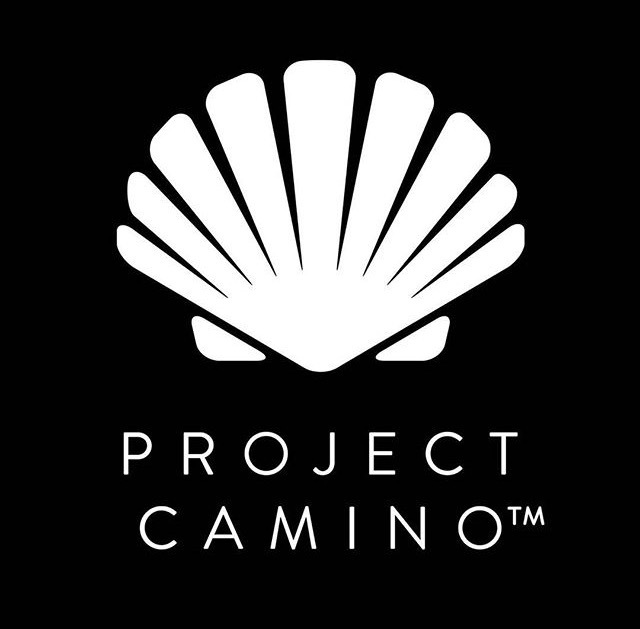 Hi, came across your site while reading about the Camino Primitivo that I walked this summer.And has been following your ‘trail trials’ on the PCT, great reading. You’re list is probably even longer now, but given what I read here I can recommend the GR20 (Corsica) and the GR10 (across the Pyrenees) trails (you’ve probably heard of them). You can read about my ‘trail trials’ on those hikes on my blog: http://tarjeinskrede.blogspot.com. Love to see the Baekdudaegan on your list, I loved hiking it, though it was really hard. Recommended. Please read http://tarjeinskrede.blogspot.no/2015/06/baekdudaegan-useful-information.html for useful information of the trail (you find my account on the trail there as well). I did the Lycian Way this fall and it was nice, but not the best trail I’ve walked, I’m in the process of writing about it. Great, hope that you’ll find it useful. I plan to travel to Spain to walk the GR1 or the Sendero Historico in the autumn. You can read about the trail here: http://www.johnhayeswalks.com/p/the-gr1.html. I would like to ask you likewise, what’s next? Or have you reached the end of your career break as you call it? JMT part through the sierras, simply stunning! However, I’ve heard it’s quite hard to get the JMT permits and there might be a lot more snow this year than there was last year. From Echo Lake/South Lake Tahoe the trail is also really beautiful and if you had time to walk from here to Burney Falls / Mt Shasta or Ashland then you would really get a good sense of the trail. I was expecting lush green forest and waterfalls, but last year was very dry in Oregon and the moss had fallen off the trees and was dried out on the ground… however, I loved Oregon for the concentration of awesome towns/resupply points. Between Ashland and Cascade Locks you can stop at Hyatt Lake Resort, Fish Lake Resort, Crater Lake, Shelter Cove Resort, Elk Lake Resort, Bend, Sisters, Big Lake Youth Camp, Timberline Lodge… which makes resupplying very easy and your pack much lighter. All of it. Love, love, loved it! But harder for resupply and a tough part of the trail if you’re not used to walking. I can’t believe that I didn’t reply? Thank you for the tips! We have our US Embassy interview next week for visas, so hopefully we can start really planning soon! I’ve just read your entire PCT Blog…thank you so much! I live 20 miles from Cascade Locks and 20 miles from Trout Lake (I’m in White Salmon, WA on the OR/WA border, across from Hood River, OR) so I’m a bit obsessed with the PCT right now. My husband was working on the fire near Mt Adams when you were walking the PCT. I love that we live so close and I can’t believe I didn’t get it for so long. I need to get out and check out some sections. Thank you for your blog. I am envious of your travels! Where you live is such a beautiful part of the trail, I’m envious! Eagle Creek and the whole of the Washington part of the PCT is definitely worth hiking. Enjoyed your Coast to Coast blog as background to trip we are planning this year (2016). Sorry to say though you were an American only to read here you are an Aussie too!. Of course I am a kiwi by birth and Aussie by choice but after 28 years here I still count. Surprised you do not have any NZ trails on your bucket list. We have done the Heaphy (4 days) and Stewart Island Northwest Circuit (we took 14 days over it) and can highly commend both for the get away from it all vibes. Fingers crossed we do not encounter any bees on our walk in July – or the biting flies…..
You’re going to love the C2C and I really do hope you don’t encounter the biting flies either – although I only encountered them on a few days their bites and itchiness lasted a long time! I do actually have my eye on the Te Araroa in NZ and Bibbulman Track in Australia… I’m always embarrassed to say that I haven’t done any walks in either country, but I left Australia after Uni 15 years ago and have been living overseas ever since. Good luck on the C2C!! Just wondering what you did with your passport? Did you keep it on you or in the bounce box? We are heading off in April from Melbourne and just trying to work out if a bounce box/bucket is worth the effort. Thinking it will be good as there are 2 of us, and also to have Yogi’s sections, warmer clothes etc sent ahead if needed. Do you remember approx how much it was each time you sent it forward after opening it? I feel like here in Aus a bucket like yours would cost a lot to send. Thks for the AAWT recommendation and Happy Trails! Hi Kat! I just read your C2C blog and appreciate hearing about your trek. I’ll be starting at St. Bees with a “Camino” friend on May 2, 2016. I’m sure that your journeys have inspired many, like myself, to embark on new challenges. I was a skinny, non-athletic kid, but took up running 38 years ago. Now, I’m retired and at 69, able to run, well mostly, with the young and beautiful. I like being in the mountains and have done seven Colorado 14ers (14,000 ft. or 4,300 m). On one winter hike in the Rockies, I dug a snow cave where my neighbor and I slept at 25 F (-4 C) while outside it was -10 F (-23 C) the next morning. If you are looking for a new trek, check out the European Peace Walk (EPW) which originated in 2014, the one hundred year anniversary of the start of WW1. This year it starts in Sopron, Hungary (a short train from Vienna), then goes southeast through Hungary, Croatia, Slovenia and ends in Trieste, Italy. I can’t say it’s a favorite since I have not walked it, but I’m planning to in 2017. It sounds like you’ve had some pretty incredible adventures, congratulations on your 7 Colorado 14ers! I’d love to get to Colorado someday. Great site! Where did you take the photo on top of this page? Hi! This photo was taken on the Camino Primitivo (Oviedo to Santiago), on the ‘Hospitales’ section. I bought a return ticket (London – San Diego) as I had decided to take my backpack over in a suitcase (to protect my pack & hiking poles) and I arranged with Scout & Frodo to leave my suitcase with them and then picked it up to use for the return flight. I made sure my flight was a changeable ticket just in case I needed to come back earlier/later. I’m not sure what the rules are about buying a one-way ticket so the US consulate visa section would probably be worth contacting. Thanks Kat. I ddnt realise you could get changeable tickets, so that sounds like a plan. I so enjoyed your blog about the Primitivo…Your photos are wonderful and the info you provide is fantastic! I turn 70 next year and grew up in the flat lands of Indiana. However I have walked a few segments of the camino (French Way). And up hill seems to be impossible for me, consequently I walked alone (from eight friends) most of the time and didn’t mind one bit. I would breathlessly pause to allow the line of pilgrims which had piled up behind me at time, pass by and call out Buen Camino. But I was meant to be a down hill runner. : ) I now live in CT and have scoped out some challenging hills and routes to start practicing for my friend’s challenge starting at the last week of May into the first week of June next year. I probably will look at your photos and blog and elevations more than once as I start to train for the challenge of my lifetime. Had a horrific year this past 2015 and first 6 months of 2016…so much stress. My spirit is very willing and longing and I need to get in shape for the climbs! I have about 11 months…whether I get to go or not, local hiking will be good for me. Have just discovered your blog and I’m really impressed by your walking achievements as well as your commentary and your wonderful photos. Inspiring stuff. Congratulations. I just stumbled on your temple hike and am working my way through it. I am 65yrs old but just did 1000 miles of the camino. I am contemplating getting on a plane at the end of Sept and doing the 88 temples. I like to walk in shorts, is that Ok at the temples. i also blog daily and i am wondering if internet is as accessible as on the camino. trying to keep the cost down but if too wet, camping wont be fun. I see the henro huts in other postings, i gather some are OK to sleep in. Congrats on 1000 miles on the Camino, that’s a long way!! When I walked the Shikoku Pilgrimage I wore shorts too, but they were almost knee length. Although you won’t see many Japanese people wearing shorts, I think they’re fine as long as they’re not too short. Internet was definitely not as accessible on the Shikoku pilgrimage as it is on the Camino. Some convenience stores have wifi (so I would often sit outside using it while eating lunch), but there’s not many other places that do have it. (Not like on the camino where most bars/cafes/restaurants have it). Camping will definitely keep the cost down, or a combination of camping and staying in the huts and free accommodation – ask at Temple 1 for the list of free/cheap accom, I’ve uploaded the version on my blog that I was given in 2013, but it’s probably changed by now. The henro huts that I stayed in varied greatly but were fine as long as you had your own mat and sleeping bag. I hope you have a wonderful time in Shikoku and don’t hesitate to contact me if you need anything else. That’s great to hear Pat. Send me an email to followingthearrows@hotmail.com with any questions. About 53 weeks ago my wife rented Wild. I thought the movie was so so but the PCT seemed amazing. The next morning I was googling away. By the end of that day I had read all of Shepherd’s journal except for the last couple entries (he was just about to Canada). Fast forward one year. I have devoured EVERYTHING on-line about the PCT. Everyone knows I am obsessed! Your video is by far the most captivating that I have seen. You slowed down to smell the roses and in doing so your nature photos are amazing but it is also apparent that you enjoy people. What a bonus for me…Halfway through the video (which I already knew was amazing) I then saw Shepherd, Teflon, and Mr. & Mrs. Smith! Thank you so much for sharing your trip with us. There is a realness about you that I generally don’t find in most journals. Thank you, thank you, thank you. What a lovely comment, thank you so much!! I was so fortunate to meet and hike with Shepherd, Mr & Mrs Smith, Teflon & KC – we became like a family and I miss them heaps! Im from the Netherlands and would love to do the PCT one day. As you, I will have to get a 180 days visa. But, I am woundering if crossing the border in Canada is no problem, because its not an official border crossing. Can you please tell me how you do that? I understand that I need a permit for Canada. will try to do the PCT, I dont want to get in trouble. I thought about getting to the monument and that returning to highway 20, then go to Seattle to leave the US, but then I will have to carry food for around 10 days from Stehekin! Looking out for your reply. After entering Canada on the PCT, I took a bus back to America (Vancouver to Seattle) and then flew out of San Diego. I had no problem getting back into America (told them I walked into Canada and showed them my Canada entry permit) and I’ve since been back to America with no problems. If in doubt, maybe arrange for your return flight from Seattle or somewhere else in America? Love your adventures and an adventurous one you are! Came across your blog 2 years when planing to do a section of the Camino Francis and I noticed we have done many of the same treks. We did a section of the Camino in 2015 then in 2016 we did another section before heading to a cycling trip near Madrid. We also did Cinque Terre after a cycling trip to Tuscany in 2005 and the Inca Trail to Macchu Piccu in 2001. At the top of our list and our favorite was the Coast 2 Coast in 2008. What an adventure! Lots of beautiful terrain, changing terrain, changing weather, friendly people and not always a clearly marked trail. We got lost several times and had fun? passing through the boggs. However, what brings me to write is the wonderful memories you brought back to my wife and I after reading the Thames Path blog. Our family (wife and two young girls) lived in Walton-on-Thames from 1976-80 while I was working in London. We lived in Washington DC area before moving then returned and have been here ever since. We lived in Walton a very short distance from the Walton bridge crossing the Thames. Frequently we took walks along the Thames River to Shepperton stopping in a pub every now and then but we did not not realize how far or where the path went. Thanks for the information and the memories. On our bucket list is the West Highland Way and John Muir trails in Scottland. Can’t do either this year as we have a bicycle trip from Prague to Berlin planned and since my wife and I are 76 and 78, I am not sure life will wait for us, hope so. No matter what, I will still enjoy your blogs. What a delight to read your comment, you are both an inspiration! The West Highland Way is on my bucket list too and your comment prompted me to look up the John Muir trail in Scotland (I hiked the John Muir Way in California when I did the PCT and it was spectacular!!). Have a wonderful time riding from Prague to Berlin and keep in touch! I am very impressed with your spirit to discover the beauty of life and nature. I Love your blog and the people who are part of it. In May this year I would like to do the Portuguese Coastal Way. Can you give me some advice about how to plan my trip. I am planing to walk alone and I do not speak Portuguese, so any advice/suggestions would be very helpful. I would like to start my trip in Porto and finish at Santiago de Compostela. Thanks in advance for any advice! Hi Kris, the Português coastal way is beautiful, lucky you! There are frequent albergues after Porto (Labruge, Vila Cha, Vila do Conde, Povoa de Varzim, Marinhas, Viana do Castelo, Caminha, A Guarda (if you continue along the coast in Spain) or Valenca if you then switch onto the central. There’s also plenty of hotels along the way. In my experience most Portuguese people have a terrific level of English and even if they don’t, this becomes part of your experience 🙂 My advice is: take your time and soak up the experience. Bom Caminho!